Wireless charging is one of the most look-forward-to technologies of this decade that has somewhat failed to live up to its expectations. Despite the name that gives hope of getting rid of charging wires, the technology has faced several challenges. Initially, designers were pulling their hair out to decide what they need first, a device that features wireless charging or a charging station that can charge multiple devices simultaneously. So far, we have seen the wireless chargers that have merely replaced charging wires as the device must have physical contact with the charging pad or station as shown on the picture above. However, with the new year, wireless charging has seemed to evolve immensely and is close to overcoming its challenges with the launch of a platform that can allow truly wireless charging within 50-meter square area. Apple, the company who recently flaunted wireless charging has sent a clear message that wireless charging is here to stay and there are ample of things apart from the Qi pads that we will come to see in the near future. According to a market research, Allied Market Research, the global wireless charging market is expected to garner $71.21 billion by 2025, registering the CAGR of 38.7% during the study period. Although we are excited about the wireless charging technology now, the great scientist, Tesla, actually invented wireless transmission of electricity more than 100 years ago. By studying his notebooks, there are answers to the challenges of wireless charging technology. For instance, resonant coupling that resembles inductive coupling could be the answer to a true wireless charging. Researchers are working on these innovations with few demonstrations that are currently available. Recently, Disney flaunted wireless charging with a living room prototype that could charge up to 10 devices without any wired connections. Disney cleared that a device must be within 46 centimeters from a copper pole erected in the middle of the room. 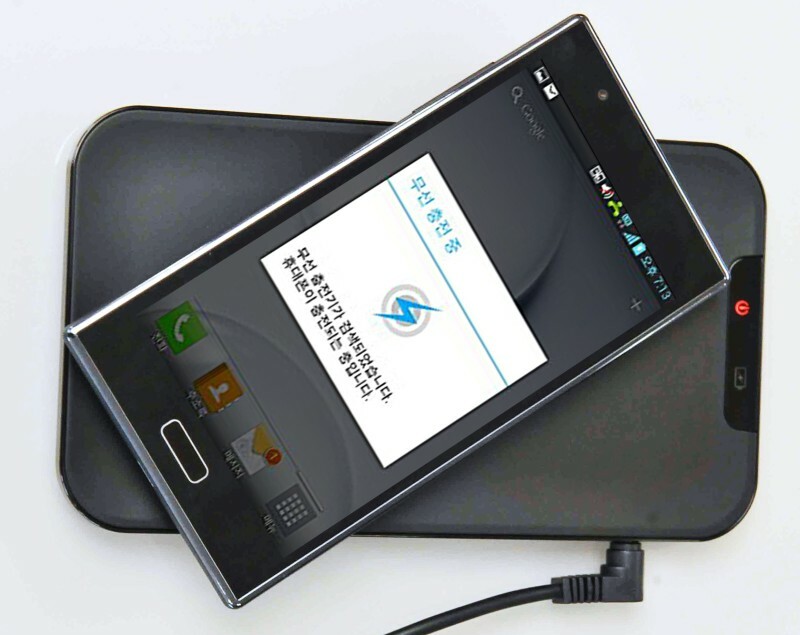 The company used a fundamental idea of generating a magnetic field through quasistatic cavity resonance to charge multiple smartphones present in the field. However, there are few drawbacks. For instance, the room is entirely made of aluminum which is quite aesthetically unsettling. Apart from Disney, there are several companies and startups, that have invested a huge pile of money into wireless charging. Wattup, a San Jose-based startup, has been working with its product that allows wireless charging. The company intends to develop a charging transmitter and a tiny receiver that could transmit power through radio waves to charge devices within 15 feet radius. Ossia’s Cota, another firm that takes interest in this technology, has promised to bring wireless charging in the form of Wi-Fi. As per the company, you would only need a transmitter and compatible devices would get charged as long as they are within the specified range. According to Mario Obeidat, Ossia’s CEO, “The idea is that users in a workplace or conference room put down their phones for up to three hours and if they are around Cota’s transmitter, when they pick the phones again, they will have fully-charged phones without using wired chargers. Such devices could truly satisfy customers that crave for a complete wireless charging. Despite the pros offered by RF technology, the leading firm Wi-charge stated that RF charging is less efficient and requires low power to deliver low charge and also has limitation of distance. On the other hand, the infrared (IR) signal offers a far better alternative and a line-of-sight solution. Wi-charge has demonstrated a wireless charging platform that can allow wireless charging of a device over 50 square meters. The platform has a charging port mounted on the ceiling of a room that could identify stationary and new devices as they come inside the room and initiate wireless charging as long as the path is unobstructed, or the device is charged. As per the company, the charging port can charge up to three devices at the same time using a focused IR signal. However, it cannot charge a device that is not in the direct line of sight of the transmitter. Can wireless charging help autonomous vehicles? The potential applications of wireless charging are endless. Wireless charging technology is not limited to power smartphones, laptops, and wireless door locks. It can be used to power autonomous vehicles. In the near future, we will see driverless cars roaming around, dropping and picking up passengers, and eliminating the need for parking lots and personal cars. A Massachusetts startup, WiTricity, has unveiled a mat that powers electric vehicles using magnetic resonance. According to Alex Gruzen, CEO of WiTricity, stated, “With the help of our wireless charging mats, there will remain no need to plug cars in. As there is no driver in these cars, these vehicles could get themselves charged as the batteries get low.” The company used magnetic resonance as it offers the best combination of efficiency and convenience and so far, there is no potential alternative for the company’s prototype. It is unclear to say when we will see wireless charging that would power devices beyond the distance of a few feet. However, rapid innovations and developments in IR and RF technology are expected to lead toward a wireless future and there is hope that we won’t have to deal with entangled wires just to charge our devices. Eventually, power cords would be a thing of the past.